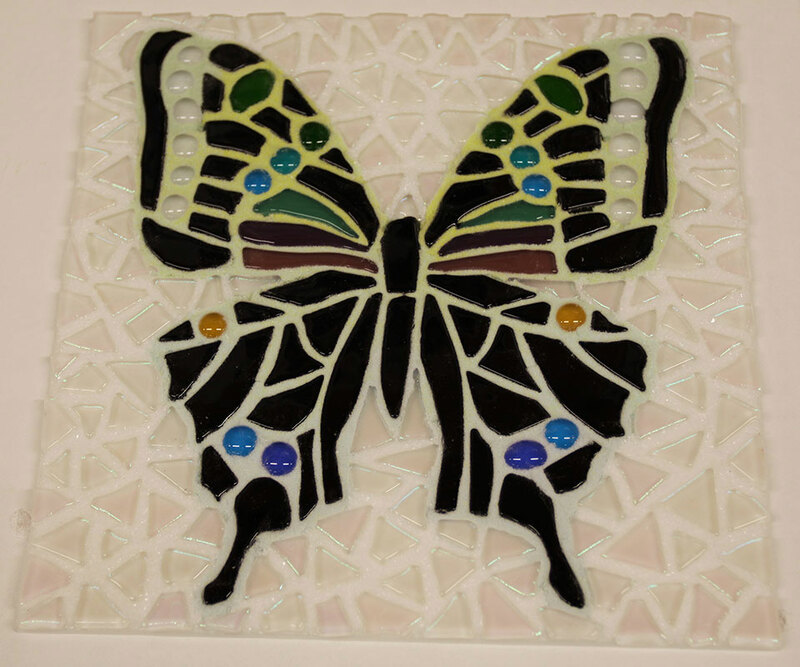 Last month I taught my Butterfly Mosaic course at West Dean for the first and possibly last time…. it wasn’t a very full course, but as a result I had a very calm and enjoyable four days, quite different from my usual running around trying to keep on top of eight students’ work! The students who had enrolled were very experienced, so it allowed me to spend some of my time working alongside them and we all produced some lovely butterfly-inspired glasswork.